The Land and Water Conservation Fund safeguards our history and provides recreation opportunities for all Americans. Since its inception in 1965, the Land and Water Conservation Fund (LWCF) has been a key tool for adding to our nation’s collection of historic sites, historic and cultural parks, battlefields, and other public lands. It is one of America’s most important conservation and recreation programs. For over 50 years, LWCF has safeguarded our history and provided recreation opportunities for all Americans. 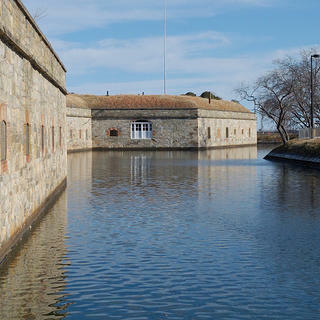 The Land and Water Conservation Fund has helped save places like Fort Monroe National Monument, Bandelier National Monument, Brown v. Board of Education National Historic Site, Chancellorsville Battlefield, and Belle Grove. These historic, archeological, and cultural sites face threats from encroaching development or conversion to other uses. Since 2007, for example, 335 sites associated with the Revolutionary War and the War of 1812 have been lost, destroyed, or fragmented. LWCF helps preserve the places that showcase our diverse history for future generations. A package of public lands and natural resources bills that would greatly benefit the Land and Water Conservation Fund just passed. Now, it's time to maintain this major funding source for preserving America's heritage. Join us now in urging Congress to ensure the LWCF program is fully funded. Victory in Reach for LWCF!